How About Waking Up To The Voice Asuna from Sword Art Online? Sony’s New Voice Interactive Assistant App “Wake Me Up Asuna,” Is Now Available Internationally With An English Language Support Add-on. Sony Music Communications Inc. has released the first of a series of voice interactive assistant apps, “Wake Me Up Asuna,” which is now available internationally for devices powered by Google Android. 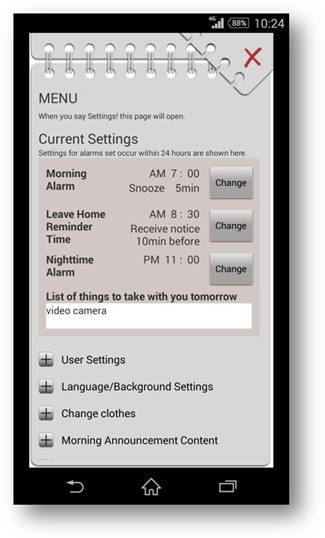 “Wake Me Up Asuna” is a personal smart assistant app that features a combination of Sony Corporation’s voice interactive technology, state-of-the-art speech synthesis, and an animated anime character interface. This first release features the heroine, Asuna from the megahit anime “Sword Art Online.” The app provides useful information and morning entertainment including wake-up calls, current weather, your fortune, and your scheduled appointments. The international release is in response to numerous requests for multi-language availability since the June 2015 app release in Japan. 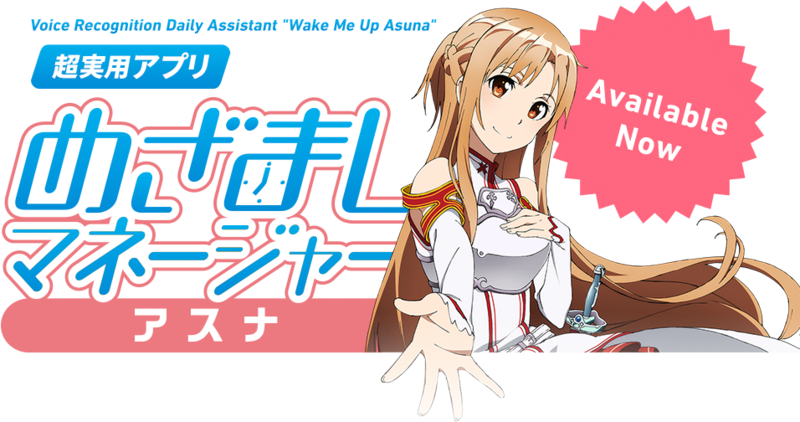 The “Wake Me Up Asuna” app provides audio and speech feedback in Japanese only, but an English language support add-on, which requires purchase, is now available for English speaking users. 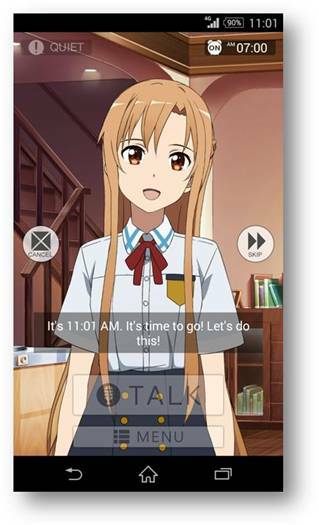 The add-on allows the app to display English menus, show English subtitles of Asuna’s speech, and utilize the English voice recognition engine making interaction possible in English. The screenshots shown may be taken from pre-release versions and may vary in the actual app. Sony states that there are no current plans for additional language support in languages other than English. Tagged App, Asuna, Google Android, Sword Art Online.